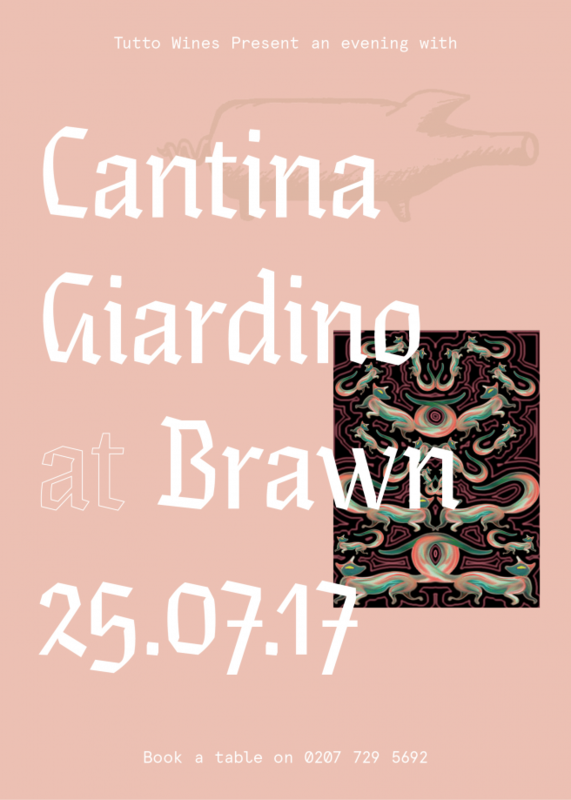 On Tuesday 25th July we will be welcoming Antonio and Daniela of Cantina Giardino back to London for a very special evening at Brawn on Columbia Road. Cantina Giardino seek out plots with old vines and great aspects in Irpinia, high in the hills of Campania. They seek to champion and preserve the region’s heirloom varietals, old vines and an age old way of tending them. Their beautiful vineyards are set at altitude and are planted over the region’s vibrant volcanic soils. Vineyard work is done by hand, organically and a combination of great farming and low yields results in extremely healthy, tasty fruit. In the cantina, Antonio takes a no-nonsense approach with the intention of letting this wonderful fruit express itself in full. The resulting wines are singular, vivid expressions of grape and place. Few people know the wines of Cantina Giardino as intimately as Brawn’s chef Ed Wilson and on the night he will be writing a one-off menu inspired by the wines. Antonio and Daniela have dug deep into the cellar and will be sharing a whole bunch of their wines from bottles big and small. To join us simply book a table by calling the restaurant on 0207 729 5692. You can pop by for a bowl of pasta and a glass or two at the bar, or settle in and delve deep into the whole menu and really explore these thrilling wines.